Looking for some last-minute rentals to pick up at the library, download or stream online? Look no further. Our FilmNerds team has you covered with some overlooked Halloween classics to make your viewing party as creepy as possible. Check out picks from Ben Flanagan and Matt Scalici along with some bonus recommendations from our other FilmNerds contributors. Ben Flanagan – It’s The Shining (1980) by a country mile. 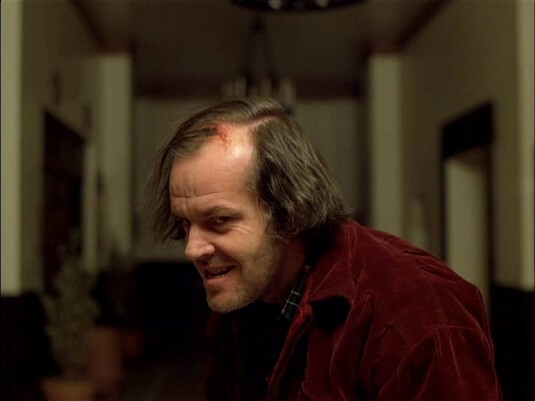 Room 237, Penderecki, Redrum, Delbert f*cking Grady, Lloyd the bartender, Shelly Duvall. The works, y’all. Kubrick killed it. Matt Scalici – Halloween (1978) – For me, this will always be the standard for horror excellence. The low-cost production from John Carpenter gets its scares not from blood or special effects but from simple camera movements and alignments that keep us from looking around the corner or behind that door just long enough to let Michael Myers stay in the shadows until it’s too late. Ben F. – I’d echo Corey’s pick in a heartbeat if it weren’t for John Doe’s sudden arrival at the police precinct in David Fincher’s Seven (1995). Toss in the car-ride out to the climactic field reveal and pretty much the entire Lust sequence, and you’ve got a nice little package of disturbing sh*t you’ll never forget. Matt S. – Meeting the Medeiros Girl from [REC] – Usually it’s the fear of the unknown that can gives us the greatest scares but in the case of the Spanish thriller [REC], it’s the answer to the film’s biggest mystery that is far more terrifying than we could have imagined. I’ve never been more filled with adrenaline watching a movie than I was the first time I saw the film’s final minutes in which our lead characters (and via a POV camera, us as well) stumble upon one of the most stupefyingly scary effects-free monsters in movie history. Corey C. – The man behind the diner – Mulholland Dr.
Ben F. – Bob from “Twin Peaks.” I know this is FilmNerds.com, but I can’t give the edge to any cinematic scarer over David Lynch’s most haunting creation to date. Had trouble with him as a child, when my dad allowed me and Graham to watch this at WAY too young an age. Still have trouble now, you guys. The fact that Lynch only noticed set decorator Frank Silva as scary-looking enough for the role instead of casting an actual actor makes it that much more disturbing, frankly. I was and am still too slow to know to turn away whenever a character is near a mirror. Just forget it.